SERVPRO of South Sarasota has become a household name on the Southwest Coast of Florida. Our locally owned and operated restoration business has developed strong bonds with the local Chamber of Commerces as well as business leaders. Our goal remains to be ‘faster to any size disaster." We also hold a Florida State License for Mold Assessment & Remediation. Property damages can be stressful experiences so having an honest, local service provider you can trust is paramount to help get your home or business back on track. What sets us apart from other restoration companies is not just our commitment to quality workmanship. It is our partnerships with responsible subcontractors, the Sarasota Chamber of Commerce and our work with SERVPRO Large Loss Units. With these in place, you can be sure that when you contact our 24-hour emergency call line, we have the infrastructure to help you regardless of the size of your personal property damages. Our local IICRC certified technicians can reach you in as little as a few hours from notification of loss. We live and work in this community too; we might even be neighbors. 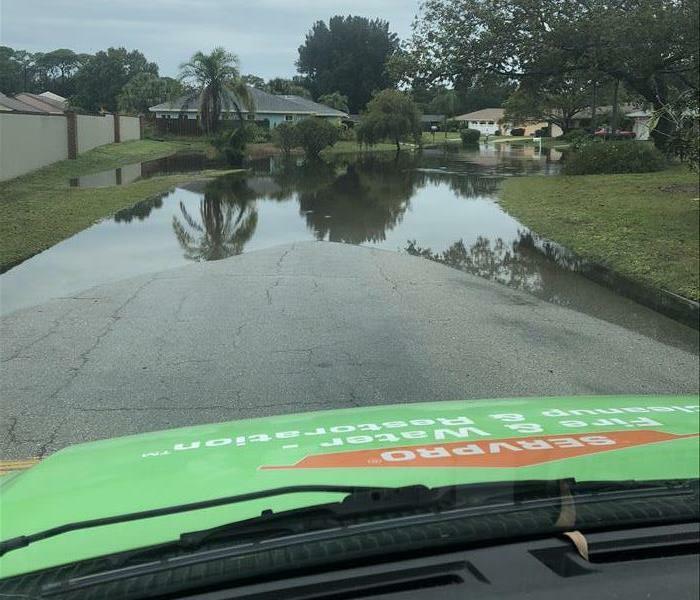 As a locally owned and operated business, SERVPRO of South Sarasota is close by and ready to respond to your cleaning or restoration needs. We are proud to be an active member of the Sarasota, FL community and want to do our part to make our community the best it can be.